Are you like me and try not to let anything go to waste? I do my fair share of donating items we no longer need but what about saving old clothes just for the fabric? Because you never know when that fabric will come in handy, am I right? Like when I turned an old sweater into pretty white Sweater Pumpkins. Or when I made my Mom an Alzheimer's Busy Blanket with zippers and pockets and buttons from some of her old clothing. Or like last week when I lined a wooden trunk with an old flannel shirt. 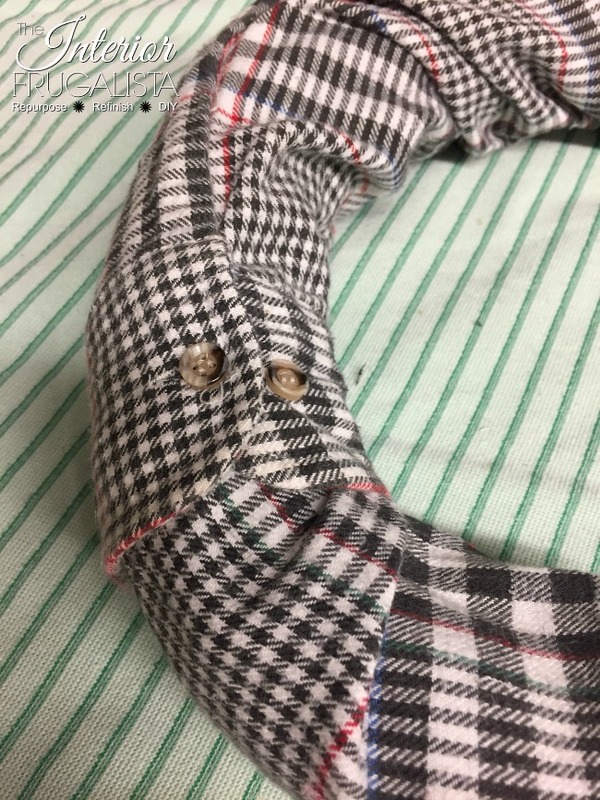 After finishing the trunk lining, I was left with just the shirt collar and two sleeves. 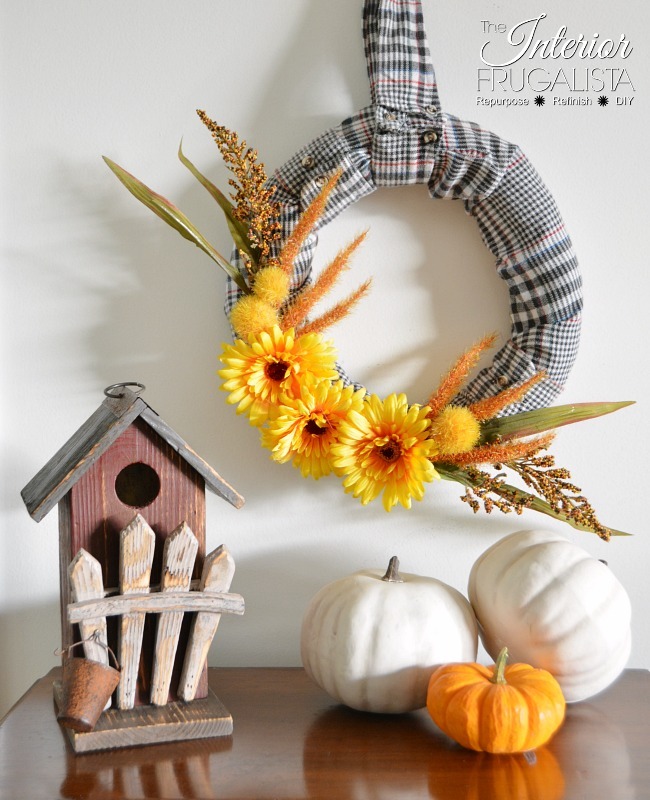 Not wanting those to go to waste, I repurposed them into an Easy DIY Flannel Fall Wreath that can be made in about 10 minutes. 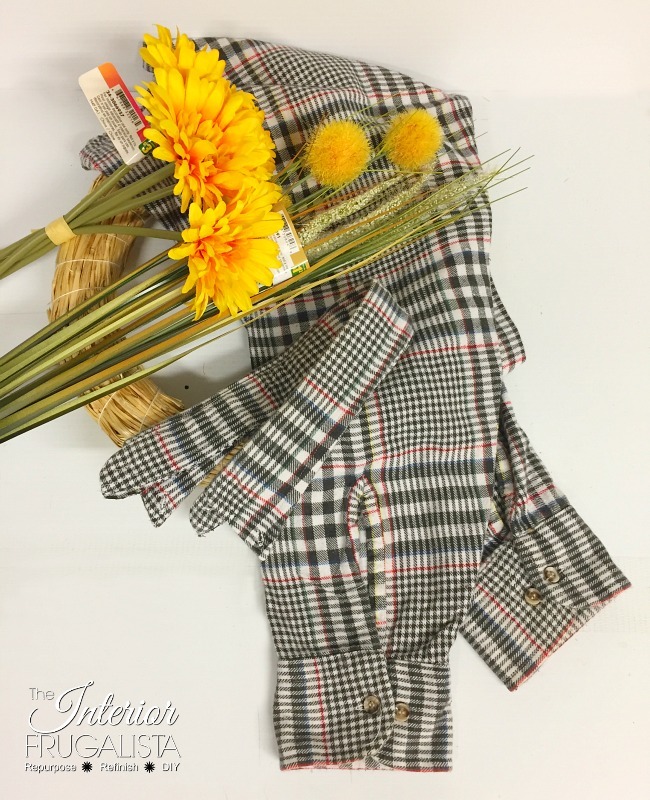 And aside from being quick and easy, it's super inexpensive too because other than the flannel, everything to make it was purchased at the dollar store. I did end up using more Fall florals than pictured above because I found it a little too sparse for my taste buds. Thankfully during my trip to the dollar store, I bought way more than I needed because you never know when inspiration will strike for another Fall project. I've included a Materials List at the bottom of this post so you can see what products I used or recommend to make this project. I've included a short video tutorial for your convenience. 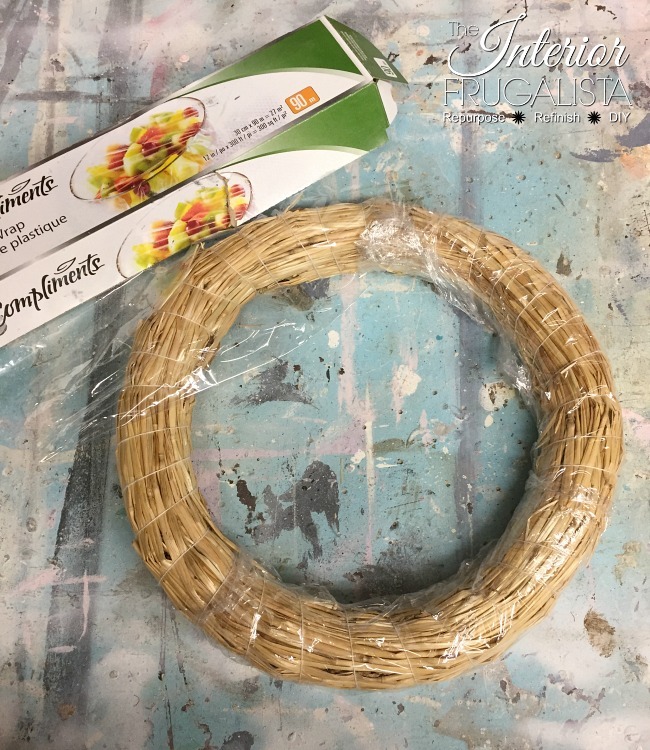 Straw wreaths are very messy and so to keep the straw from getting everywhere while you work, wrap the wreath form in plastic kitchen wrap. 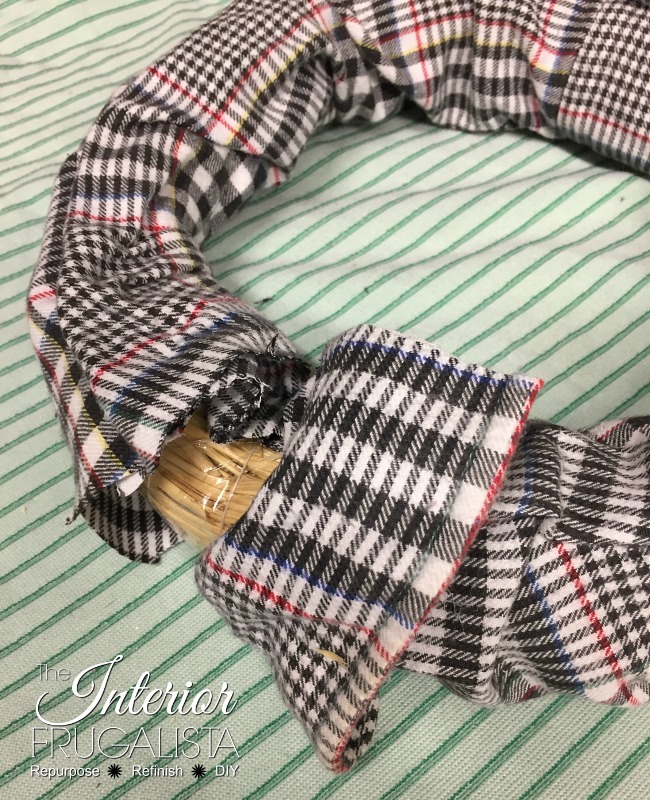 In order to wrap the shirt sleeves around the straw wreath form, simply cut the back side of the sleeves as pictured above. So the plastic wrapped wreath form doesn't peer through any gaps, run a bead of hot glue on the inside of each cuff to close the opening. 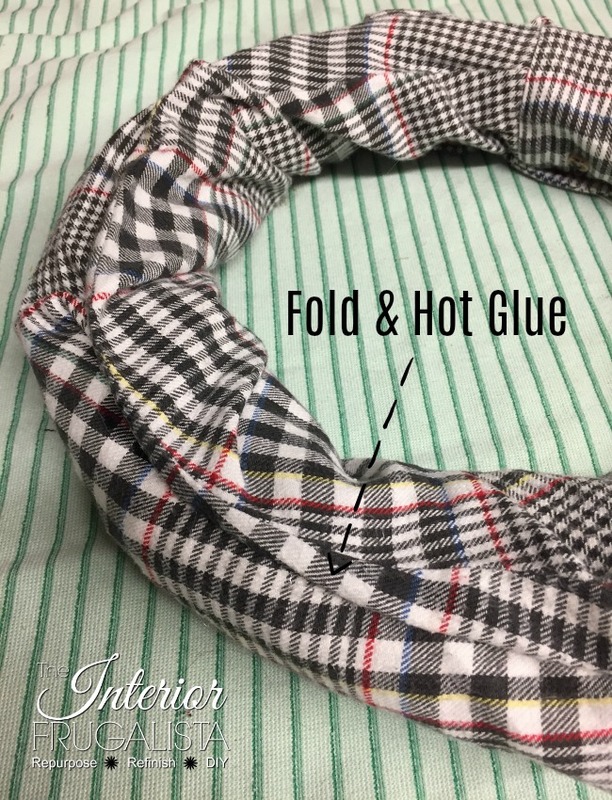 Wrap the sleeve over the wreath form and fold the raw edges inside. 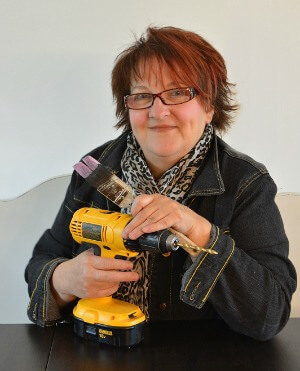 Overlap the pieces and tack in place with a bead of hot glue. No need to be fussy because you won't see it from the front but we wary not to wrap the sleeve too tight or too loose (pictured above). Overlap the second shirt cuff over the raw edge of the first sleeve and repeat the previous step (pictured below). 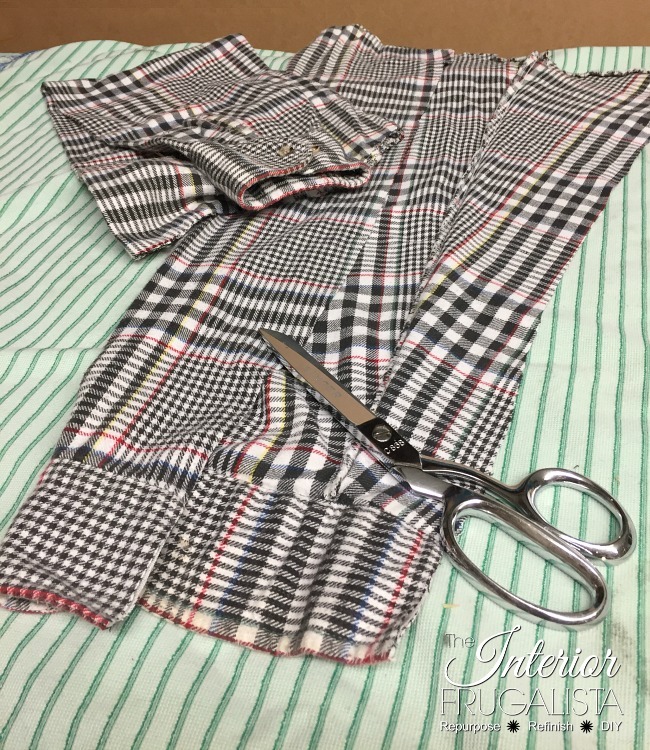 When you reach the cuff of the first sleeve, unbutton the cuff and fold open. 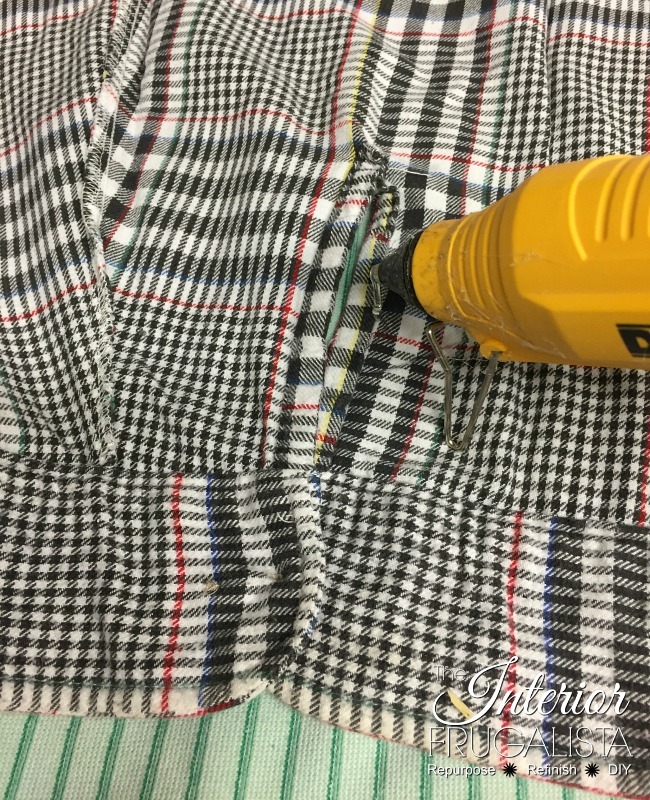 Cut the excess fabric on the second sleeve and glue in place (as pictured below). 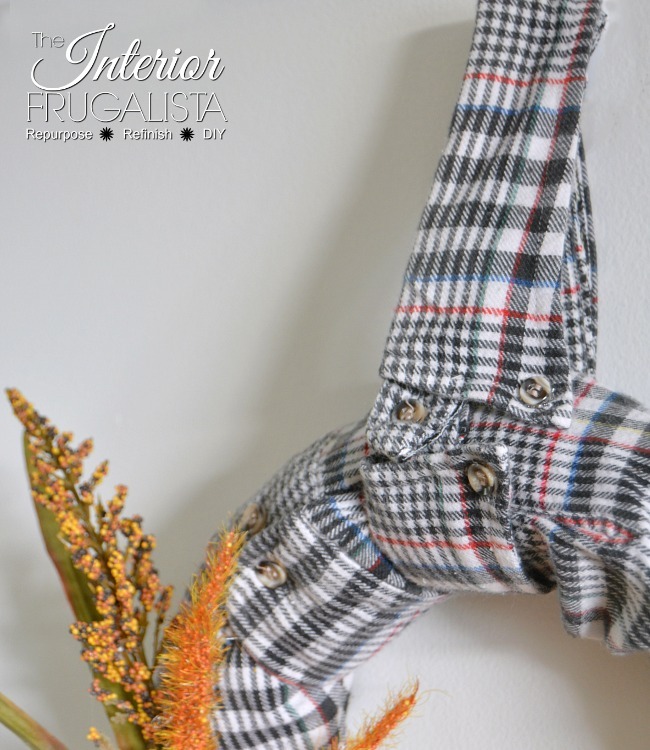 Fold the cuff over the raw fabric on the first sleeve and button the cuff (as pictured below). And your wreath should look like this when it's finished. 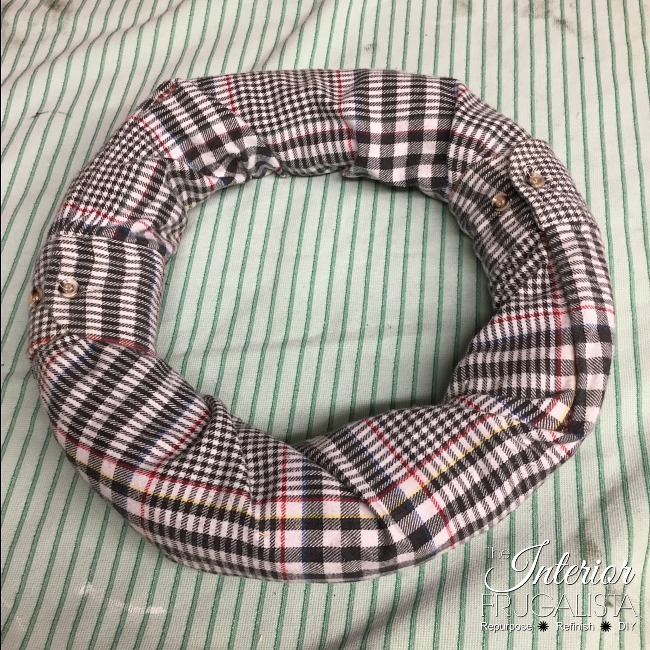 Simply wrap the shirt collar around the top of the wreath and button closed. Can't get any easier than that! Starting with the largest florals, mine are yellow sunflowers, cut the stems and glue three centered between the top shirt cuff and the bottom of the wreath. 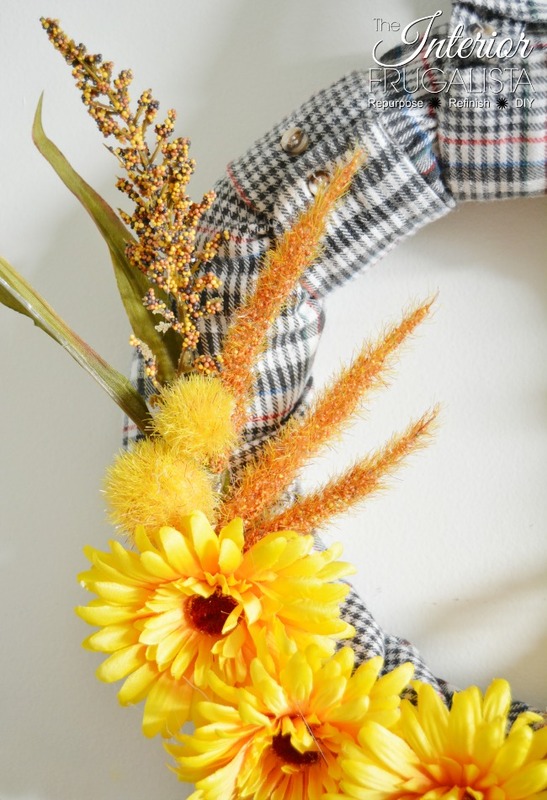 Arrange floral picks at different lengths, starting with the longest secure to the wreath behind the sunflowers. You will need to secure them towards the top of the pick as well to hold them in place. 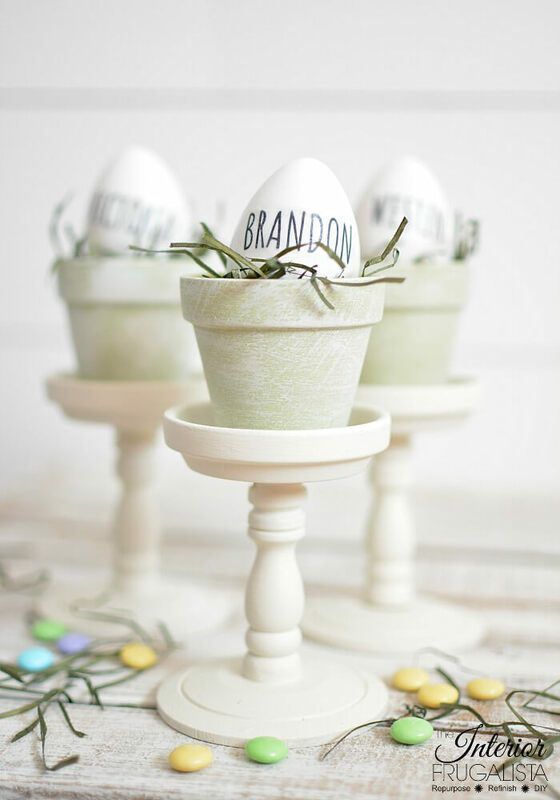 Floral Tip: Arrange florals in groups of three. Arrange the next group of floral picks slightly lower, also securing behind the sunflowers. Keep repeating until the florals are nice and full (as pictured above). Repeat on the opposite side of the sunflowers (as pictured below). 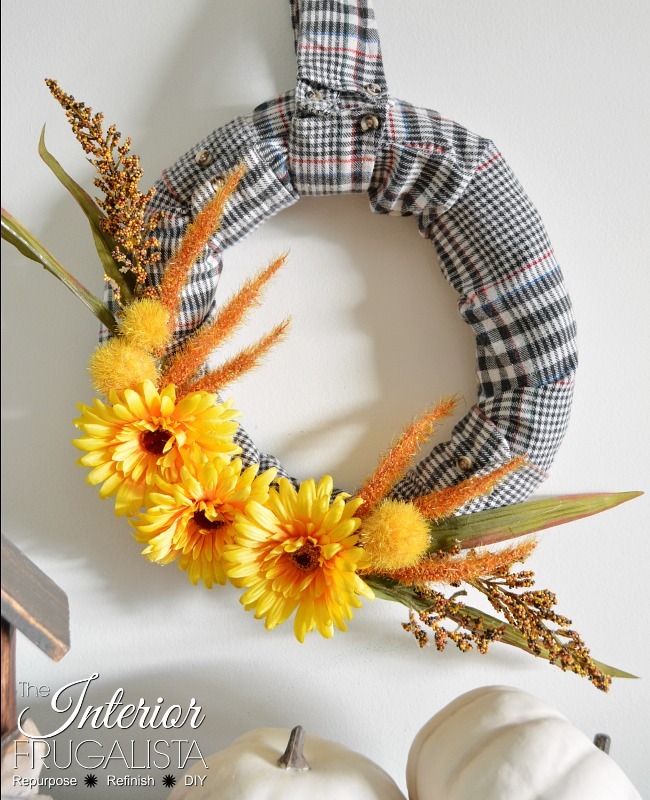 Have I inspired you to dig through your closet or your fabric scrap bin to find a flannel shirt you can repurpose into a Fall Wreath? 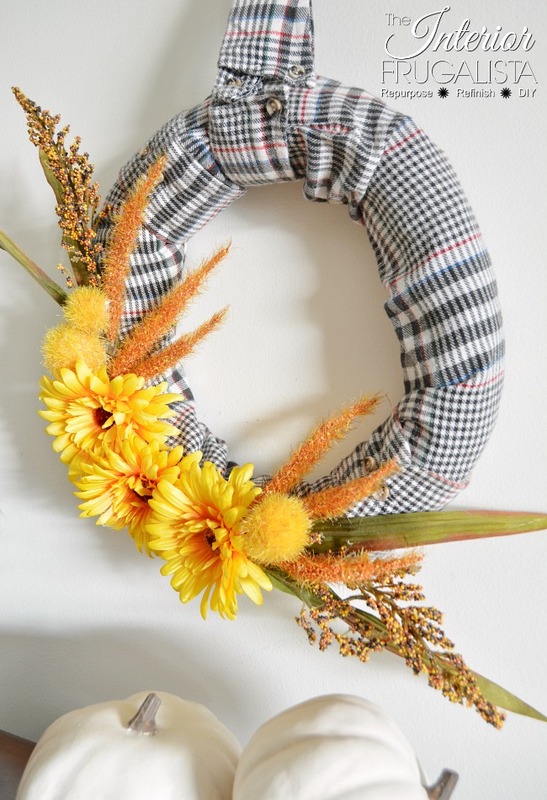 Flannel shirts make great winter and/or holiday wreaths too. 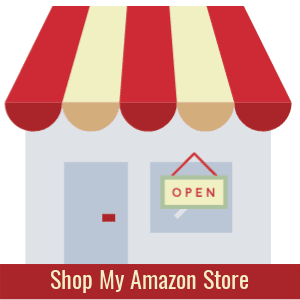 If you like this idea, pin it for later and/or share it with a friend. I'm curious if you have a salvaged garment pin at your house? 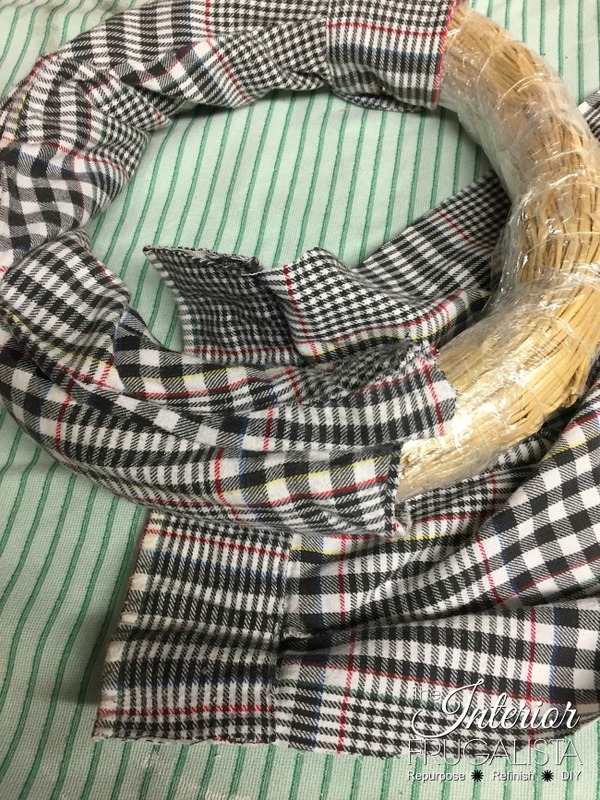 What sorts of crafts have you made with an old shirt? 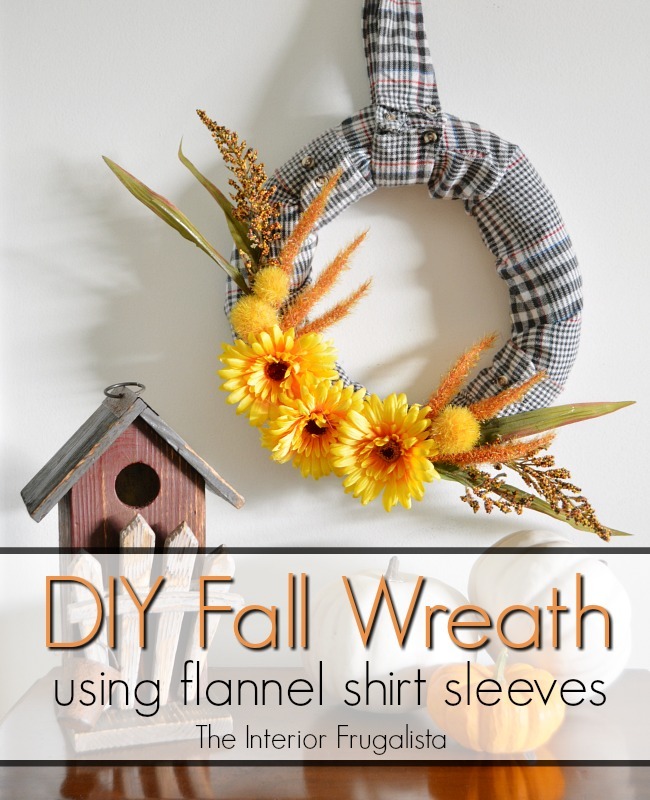 Have you ever used a shirt to make a seasonal wreath and if so, for what season? I'd love to hear about it in the comment section below.